Precision timers are the perfect piece of equipment to ensure your plants don’t wilt because you’re not available to change the settings when needed in your grow room. 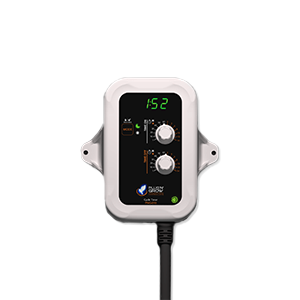 Precision timers are designed to help you get the most out of your degree controls and other factors in your grow room without needing to worry about every little detail of what’s going on. For instance, if you know you’re going to be gone all day, you don’t need to rely on someone else to change the temperatures in your grow room or manage the humidity. Regardless if you’re home or not, these precision timers will do their job in making sure your plants are taken care of without you needing to worry about leaving or forgetting to care for your plants. To ensure your vegetation is getting all of the care it needs, it’s best to invest in equipment that’s reliable, easy to use, and offers a variety of settings you can take advantage of. Precision timers are made to detect the time of day, when you need to water your plants, and regulate the temperature and the humidity in your grow room. Precision timers can have a variety of settings you can use to set up your grow room for maximum potential. They have independent settings that turn on and off as well as ways to automate lighting cycles. You might think that having a precision timer might be too complicated to use, but in reality, these devices will make your life easier when it comes to indoor gardening. You won’t have to worry about when to water your vegetation at the appropriate times, regulating the temperature or the humidity because it’s all done for you. These devices are simple to use and once you set the appropriate settings you’ll find that they are the ideal choice for grow rooms that need accuracy. At Plug ‘N’ Grow™ Controllers, we have one precision timer that is a perfect purchase for those who are novices in the growing world or are experienced. Regardless of how long you’ve been growing, these devices will make your life easier because they will regulate your grow room to your specifications. The precision timer is on a cycle timer so it will detect day/night time so the proper process can be implemented. Secondly, these timers are very easy to use to control procedures in your grow room such as the irrigation pumps and the watering of your plants. Additionally, they can control the diffusers and the foggers in your grow room to ensure the proper precautions are taking place. Lastly, the CO2 and the ventilation will be controlled due to these devices. The product we offer operates in the day mostly, so it’ll be able to detect daylight and it will know when to switch to another setting in a maximum of five seconds. If you want to get the most out of your grow room, then it’s best to purchase a precision timer to control the irrigation and the temperatures in your room. To find out how easy it is to work these devices, watch our videos to see if this is the right step toward indoor gardening for you. All in one digital lighting timer. Displays the time left in the cycle and if the output is activated. 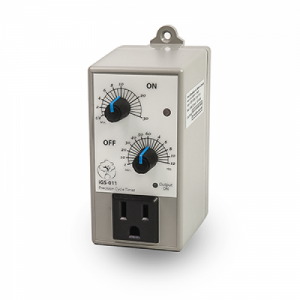 Simply select your day cycle and your wanted lighting period, Finaly set your high temperature shut-off limit with the wanted hot start delay and you are ready to go. A precise cycle timer with day/night detection is really easy to use to control watering and irrigation pumps, foggers and diffusers, ventilation (fans) and CO2 regulation, as well as many other applications. The iGS-011 operates in day mode as it detects light and switches to another setting in five seconds.